This April marks the 20th anniversary of National Poetry Month, which was inaugurated by the Academy of American Poets in 1996. However, April isn't the only time to celebrate poetry in your classroom. 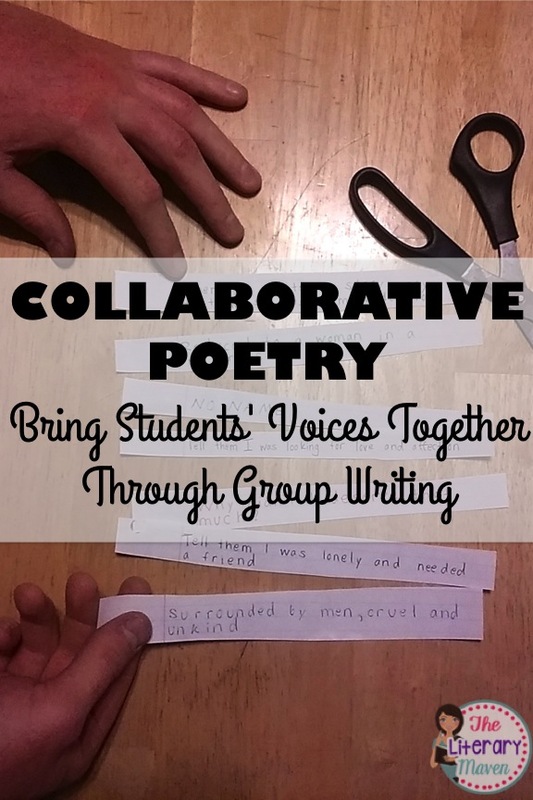 One of my favorite poetry activities to use any time of year are collaborative poems. 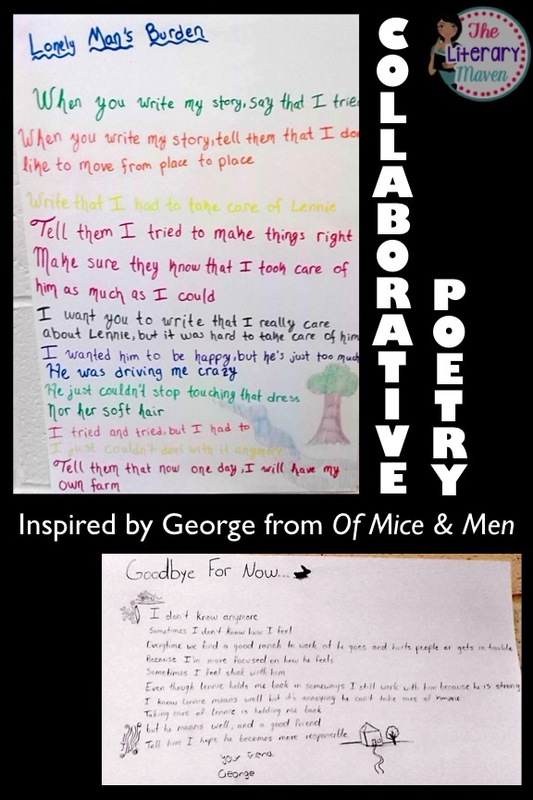 Collaborative poems can be created after reading any piece of fiction and even after reading a piece of nonfiction. 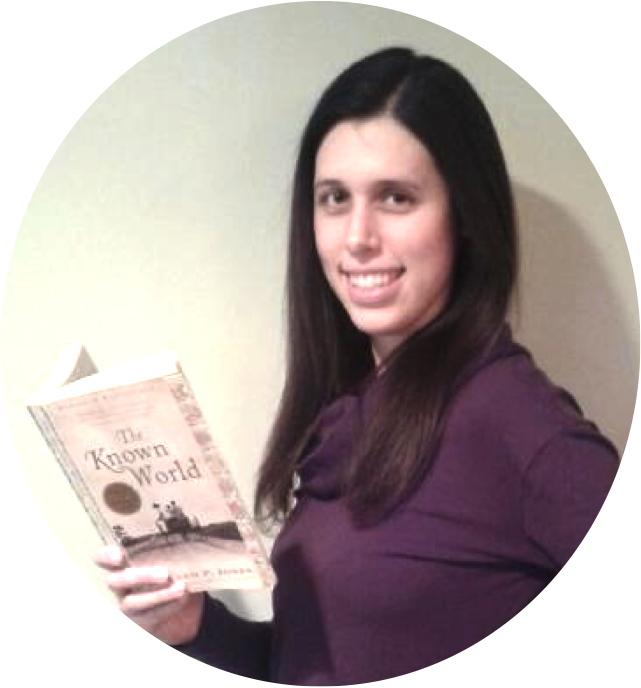 With fiction, students will write from the point of view of a character. With nonfiction, the point of view students take on will depend on the text and its topic; it might be a historical figure, an animal, a building, a place, or an event. To get students started, you can either assign students to different characters or offer students a choice of characters. Students who are assigned or choose the same character will be in a group together. I don't explain the group part to students beforehand to avoid friends selecting the same character. It is a nice way to bring students together who don't normally work together. It is also interesting to see which students connect to or have strong reactions to which characters. Tip: If you allow students to select a character of choice, you may want to prepare an extra set of lines for character choices that may be less popular (save a copy of these so you can use them year after year). 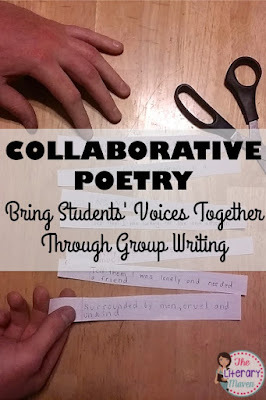 Then groups that end up with only one or two students will still have other ideas to use to create a collaborative poem even if there aren't any other people in their group. Once students have a character, provide students with a prompt. My prompt is very generic: what would you character want us to know about him/her, his/her life, and the events in the story? 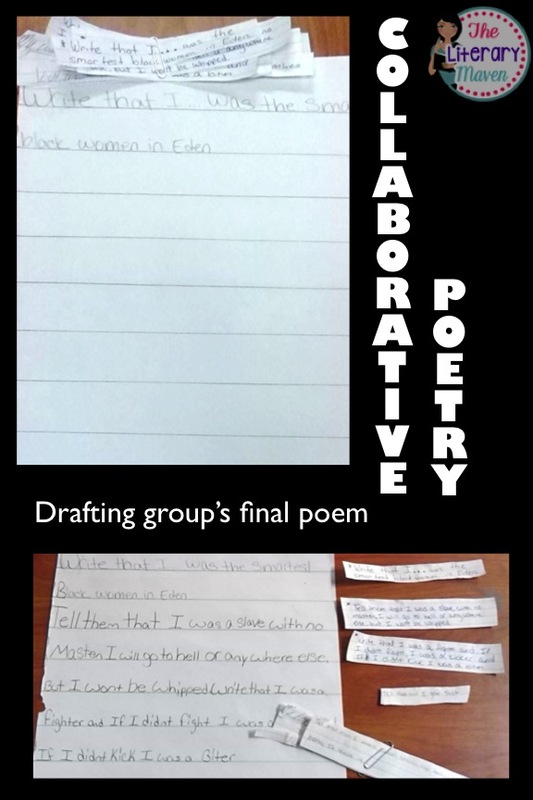 Besides not mentioning that students will eventually be working in groups, I also don't initially describe this writing activity as a poem. I just ask students to do a quick write or free write from the point of view of the character they chose. 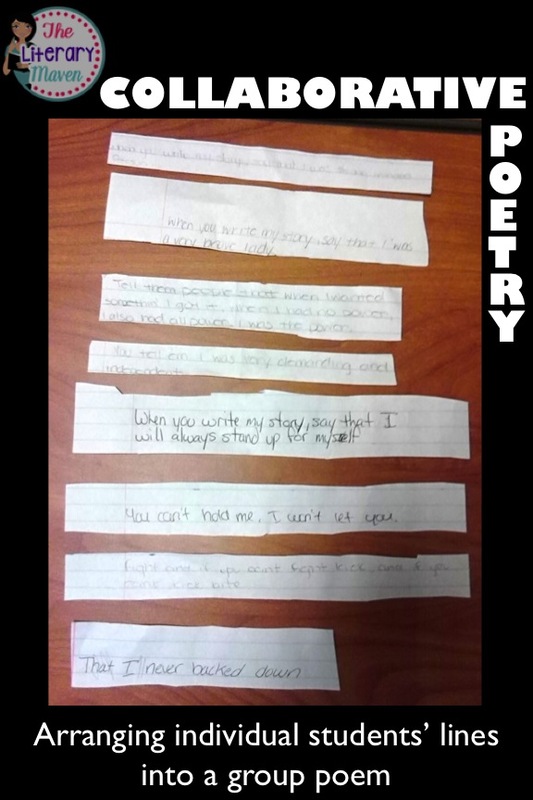 Tip: Tell students to skip a line between each line of their poem; it makes it easier to cut them apart later. 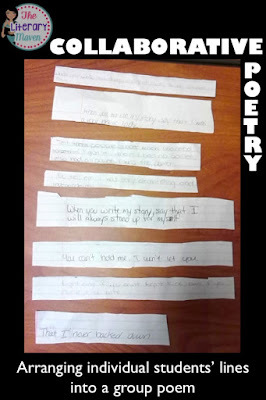 Once students have completed their individual writing and you have placed them in groups based on their character, instruct students to cut apart the lines of their poems and then begin to incorporate their lines with the rest of their group's lines. You can require that the collaborative poem be a certain number of lines long and/or that a certain number of each student's original lines are included in the collaborative poem. I don't like to set these requirements because students will likely only do what they are required, but some groups may need that structure. As groups are constructing their new poem, I encourage them to leave out lines that are too similar and allow them to modify lines to improve the flow (i.e. changing verbs to have a consistent tense). 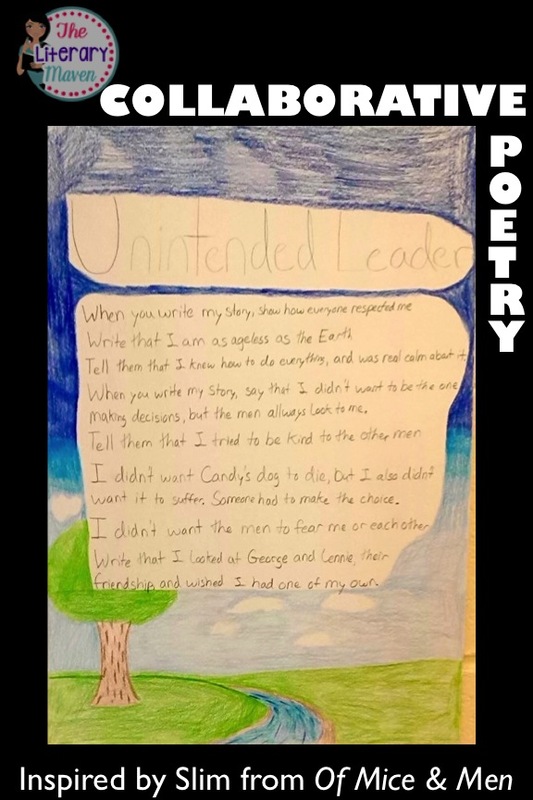 I also ask students to number the lines of their new poem, so that if this work continues into another class period, they don't have to start all over. 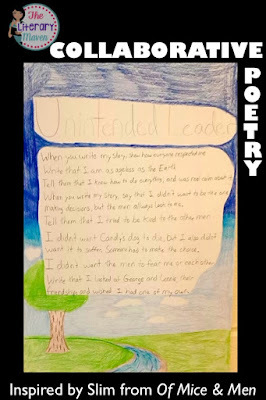 After students have organized their lines and made any necessary changes to wording, I allow them to copy their poem out on large construction paper. I encourage them to play around with the size, color, and placement of their text. 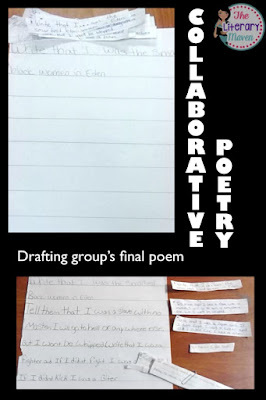 The final step is to create a title for their collaborative poem that reflects its theme. If time allows, I allow students to decorate their poem with related images. Be prepared to be wowed by the final results!